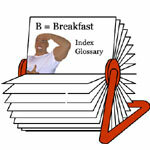 Mr Breakfast.com features thousands of restaurant reviews related to breakfast. Reviews are organized by U.S. city and state. Reviews for restaurants outside the U.S. are all found under the "international" heading. Visit the restaurant home page to submit a review of your own.